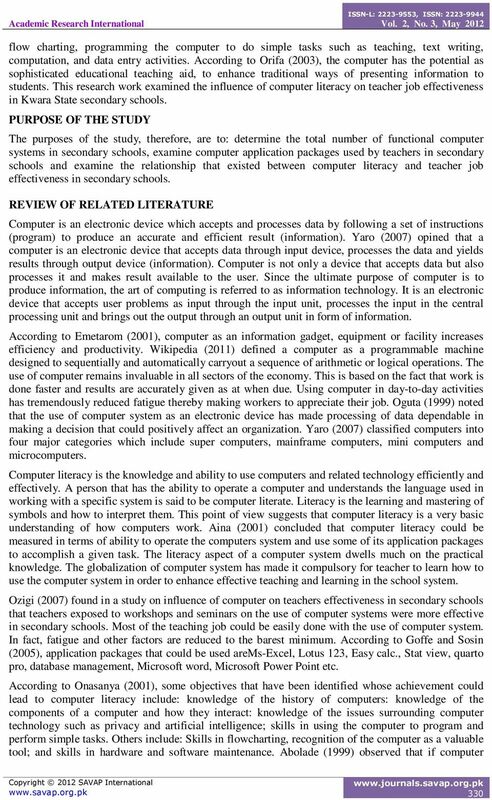 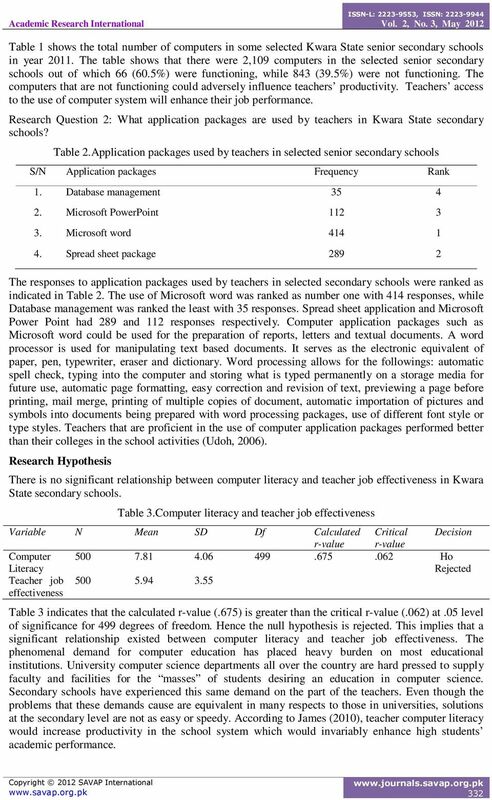 Download "COMPUTER LITERACY AND TEACHER JOB EFFECTIVENESS IN KWARA STATE SECONDARY SCHOOLS"
AVAILABILITY OF INFORMATION TECHNOLOGY EQUIPMENT FOR INSTRUCTIONAL PURPOSES IN ILORIN METROPOLIS SECONDARY SCHOOLS. 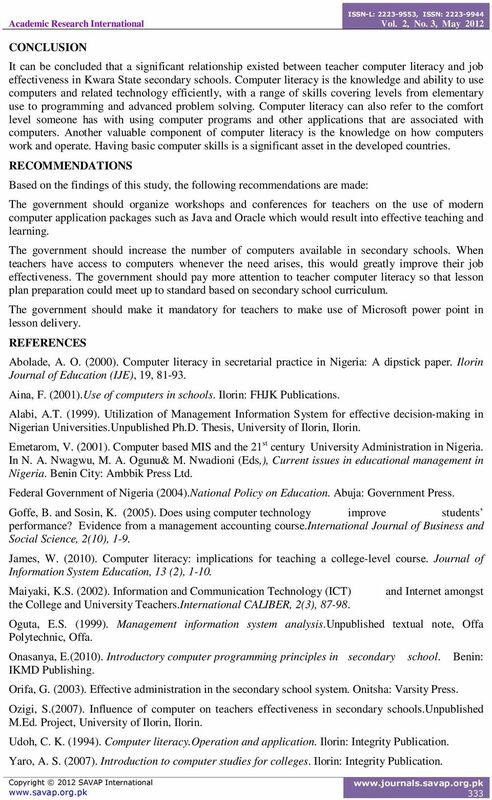 Dr. (Mrs.) A. T.
International Education Journal Vol 5, No 3, 2004 http://iej.cjb.net 405 An Evaluation of the National Teachers Institute s Manpower Training Program for Teaching Personnel in Mid-western Nigeria A.U. 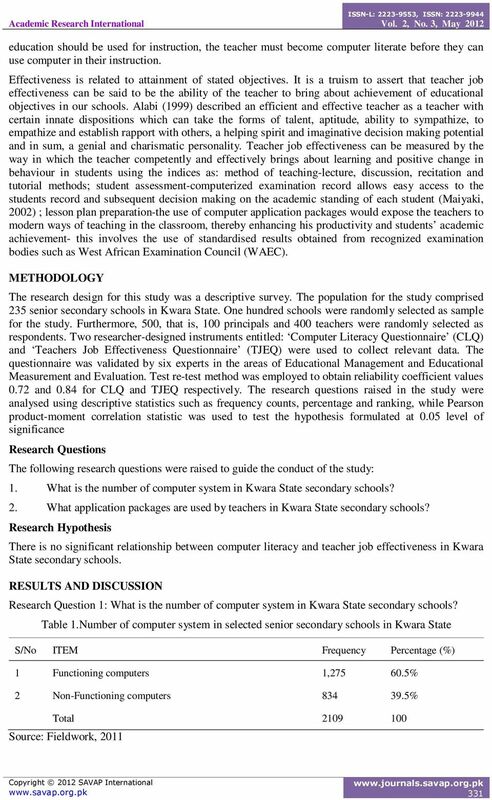 RESOURCE MANAGEMENT AND JOB INVOLVEMENT AMONG UNIVERSITY LECTURERS IN SOUTH SOUTH NIGERIA. 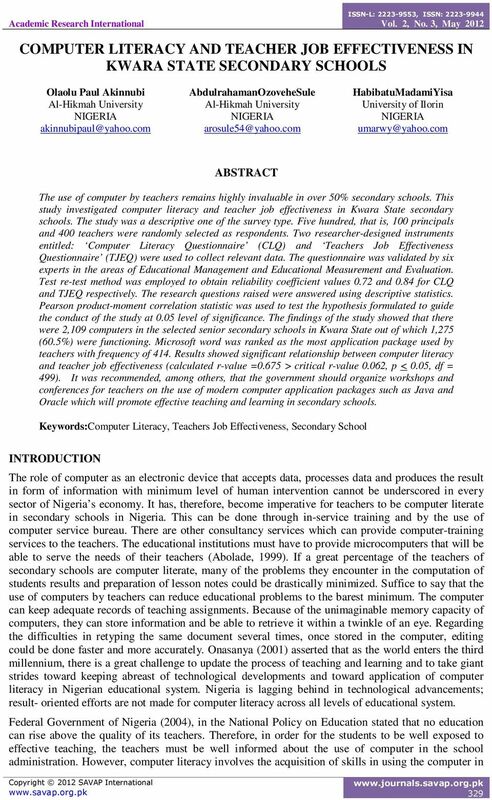 Learning and Teaching Styles in Language, Science and Technology Education in Nigeria.